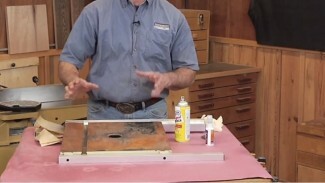 There are a handful of ways to make large circles; a string and a pencil, a tape measure with a pencil taped to it, a beam compass, trammel points…Did you know you can make a circle using a framing square? Not a common technique, but it works, and works well. If you’ve got a framing square in your shop, you can produce perfect circles. Start by tapping nails into your work piece. The distance from nail to nail must equal the diameter of the circle you need. 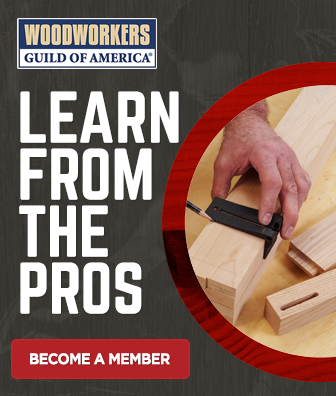 With the inside legs of the square resting against the nails, maneuver the square in an arc, while at the same time holding a pencil at the inside corner created by the legs of the square. Yeah, it sounds like it can’t possibly work, but it does. It’s easiest if you do ¼ of the circle at a time. A framing square is an incredibly versatile tool. There are so many layout tasks it’ll take care of for you. 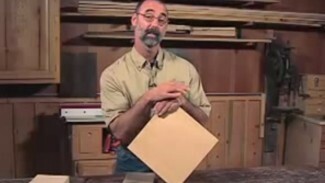 You’ll also love this great technique that allows to turn a simple square into a framing square cutting guide.